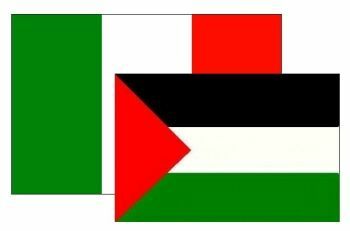 Palestine and Italy are on two sides of the same sea, the Mediterranean. Their geographical position has provided for centuries the basis for good relations between the two countries and between the two populations at all levels: cultural, economic and good-neighborly. For decades Italy has been the most sympathetic and supportive European country as far as the Palestinian people and its cause are concerned. In the 1970s, Italian governments were seriously engaged in finding a solution to the Palestinian question after Israel’s occupation of the West Bank, including East Jerusalem, the Gaza Strip, and other Arab lands in Egypt, Syria, Jordan and Lebanon. In 1974, the Italian government allowed the official presence of a delegation of the Palestine Liberation Organization (PLO) in Italy. Subsequently, in 1980, Italy committed itself to the Venice Declaration of the European Economic Community (EEC) by which Member States recognized the PLO as a political interlocutor. And in the 1980s, Italy’s support for the Palestinian cause grew visibly. During all these years, through the General Union of Palestinian Students (GUPS) and the official representation of the PLO, Palestinians in Italy have been able to have excellent relations with most political forces, trade union organizations, associations, civil society, free men and women, and lovers of justice and peace. Italy continues to support the Palestinian people economically and politically, engaged as it is in trying to find a fair solution of the Israeli-Palestinian conflict based on international legality. Italy’s vote in favor of the recognition of Palestine as an Observer State before the United Nations, the European Parliament and the Council of Europe, as well as the vote of the Italian Parliament in favour of the recognition of the State of Palestine, testify to the solidity of the good relations between Palestine and Italy, and between the Italian and the Palestinian people. © 2019 Embassy of Palestine.